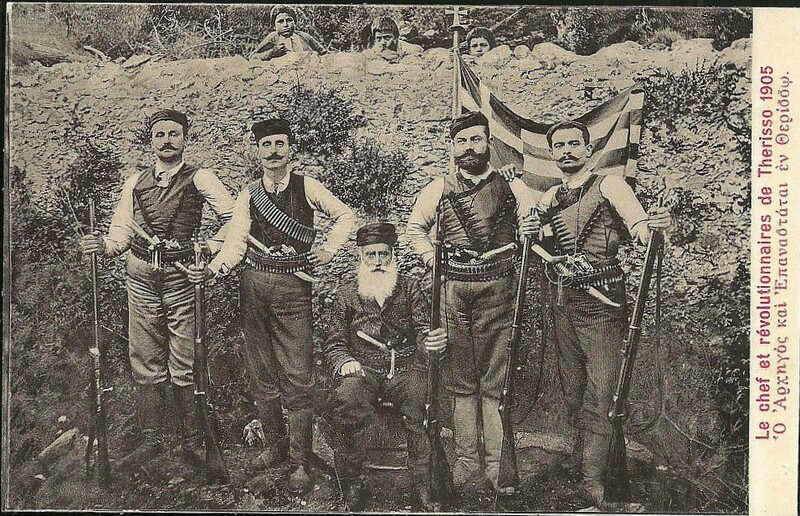 2nd Royal Sussex | The British in Crete, 1896 to 1913. 2 Royal Sussex get the goat. 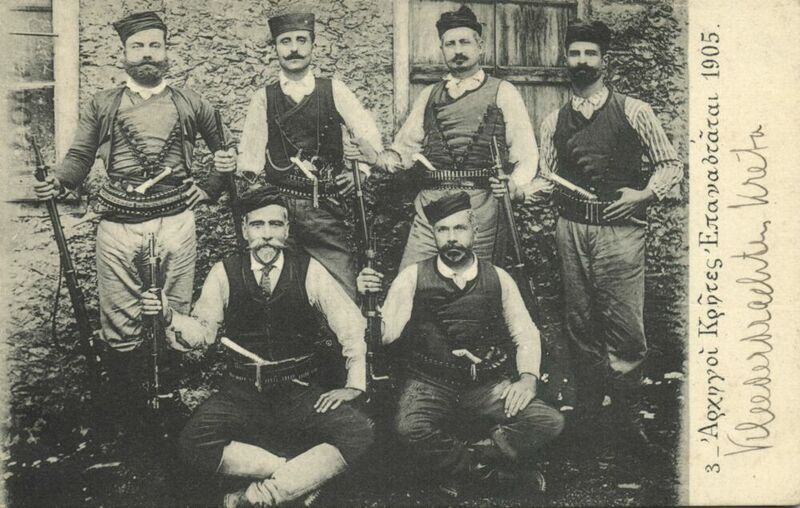 “[The battalion] under Lt Col. J. G. Panton moved to Crete in S. S. Sardinia to assist in the suppression of the insurrection of the followers of VENEZELO against the Cretan Government. 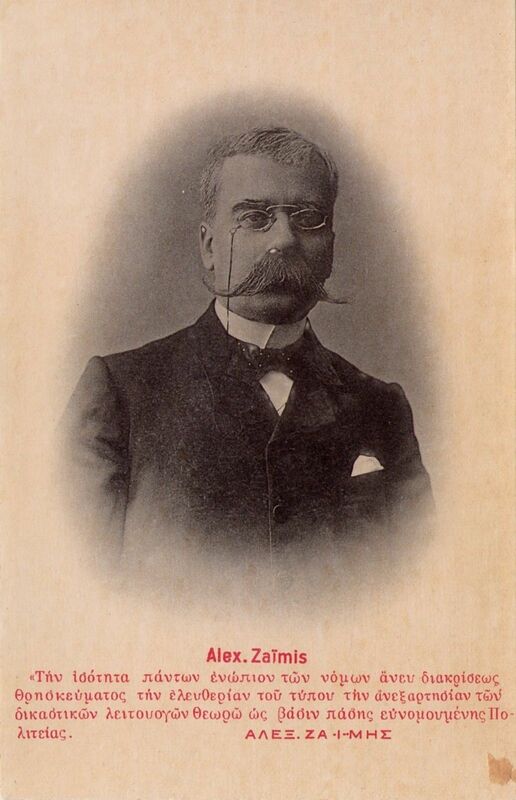 The insurrection continued until the end of Nov. 1905. Detachments of the battalion were distributed over the KANDIA secteur, (i.e. the British secteur) in fortified (posts?) and camps. Small columns were also sent out to patrol the district. 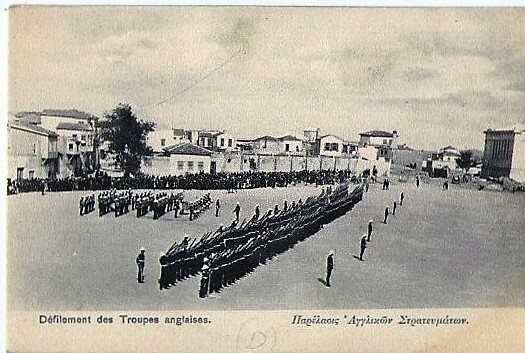 A detachment of the battalion was also quartered at CANEA in the International zone. The Officers of the Bn. In addition to their military duties were employed in the administration of martial law, which was still continued after the conclusion of the 1905 insurrection. The work of the troops during the insurrection involved considerable hard work and discomfort. The armed bands of insurgents avoided coming into contact with the troops, and on three occasions only was there actual fighting between British troops and the insurgents viz. at SKYLOS, CORPHAIS and at BUTZENARIO. The insurgents were armed with Gras rifles (chiefly) – very badly kept. Their shooting was bad. On April 28th May 1st 1906 ‘C’ E’ and ‘H’ Companies under command of Bt. Lieut. Colonel H.R. 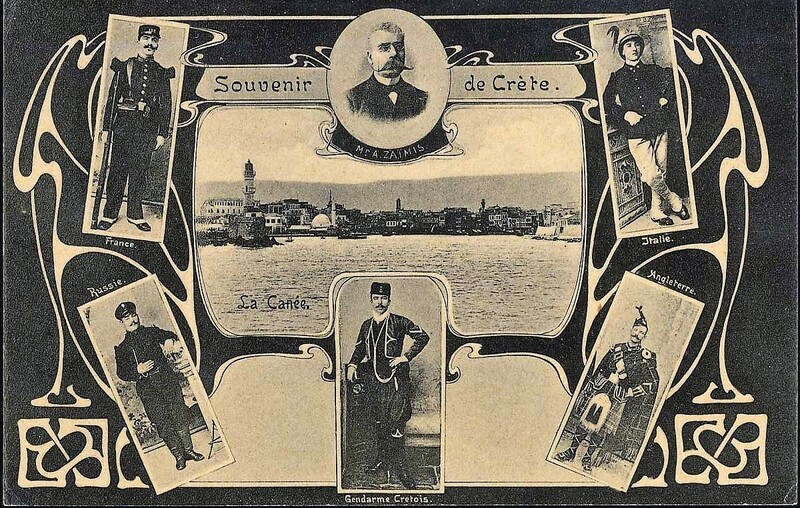 Lloyd arrived at Crete from Malta on the “MALACCA”, disembarkation took place under considerable difficulties owing to the rough state of the sea at the time and the absence of any labour at KANDIA. The Battalion was split up into many Detachments during the elections in the British secteur in May, and underwent a considerable amount of arduous work……. 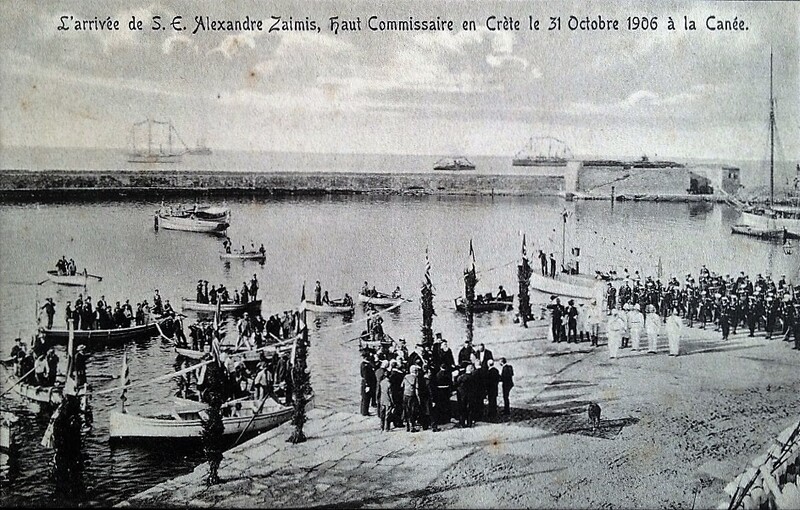 During September trouble was expected in the island of Crete owing to the resignation of Prince George of Greece from the position of High Commissioner of Crete. Nothing of any account occurred in the KANDIA secteur, but at CANEA on the day of his departure as party of Insurgents fired at the International Troops, killing a Russian cavasse [official interpreter] and wounding a Russian soldier- a Detachment under Lieutenant R. (Pinker?) 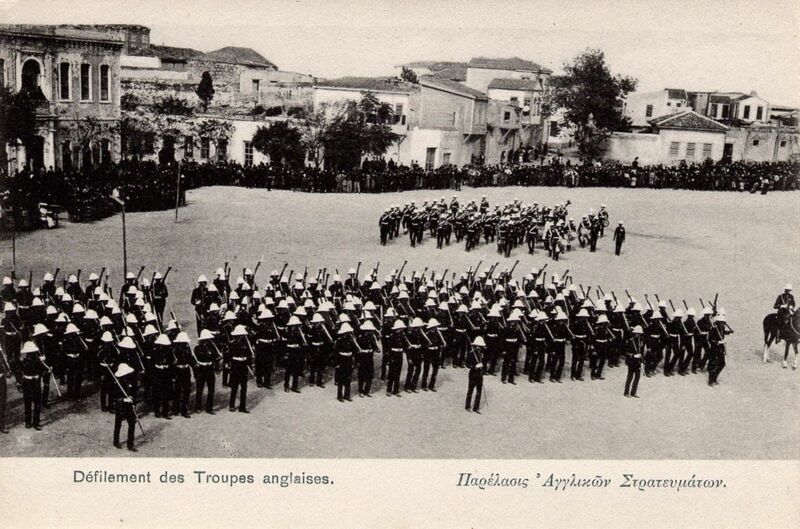 of the battalion was at Canea at the time but took but little part in the affair……. Prince George of Greece presented the Battalion with two Ibex as Regimental pets in August 1906. The male Ibex died before the Battalion left Crete…. 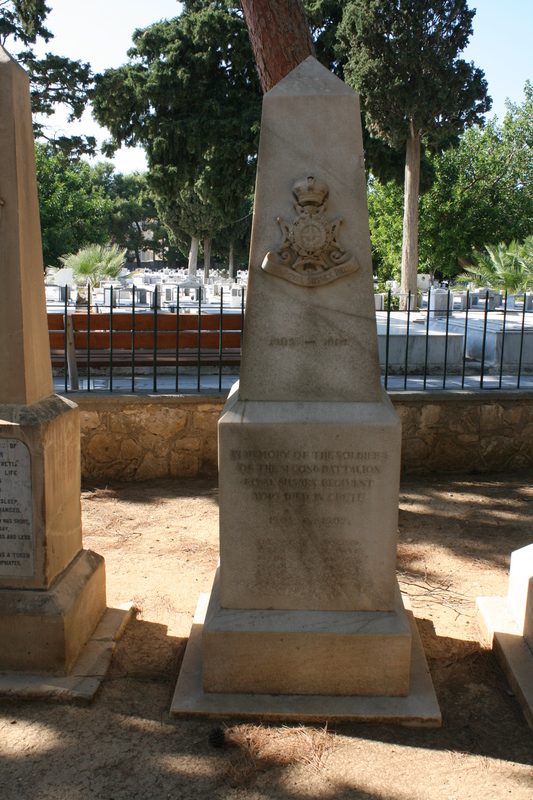 2 Royal Sussex Memorial Iraklion. 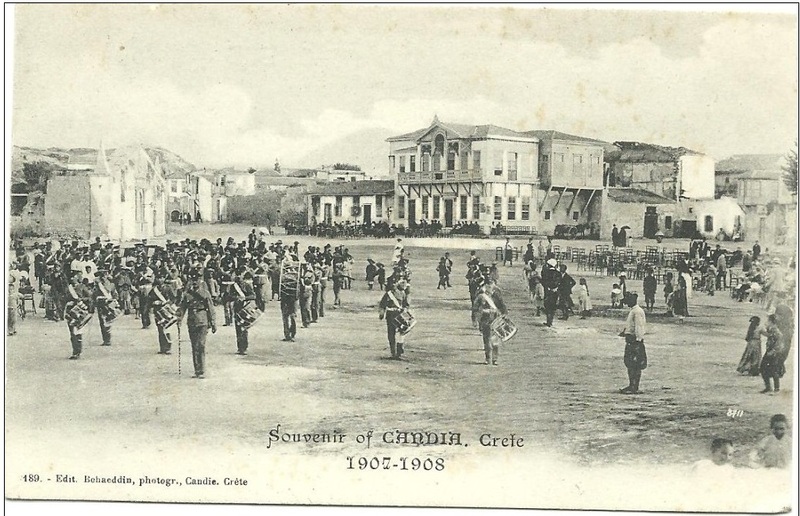 The battalion left Crete, en-route for Belfast, on 25th February 1907. 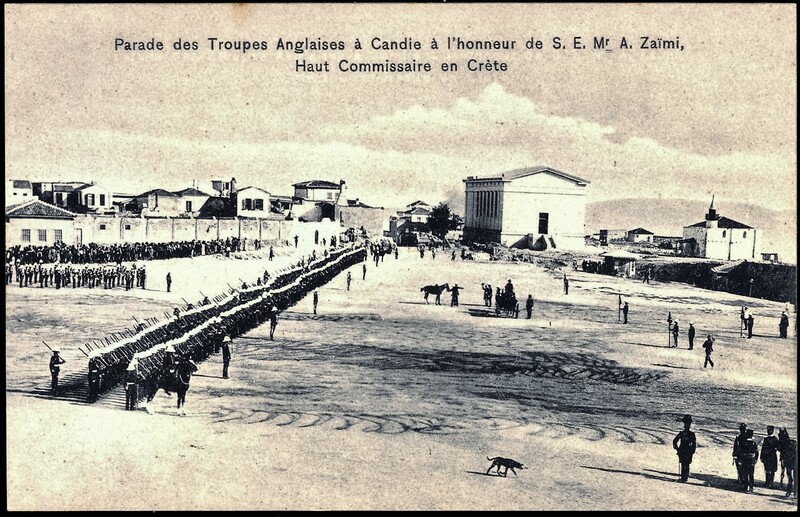 This entry was posted in British Army in Crete, European Intervention Crete, Royal Sussex and tagged 2nd Royal Sussex, British Army Crete 1905, Theriso revolt on January 30, 2016 by Mick McT. 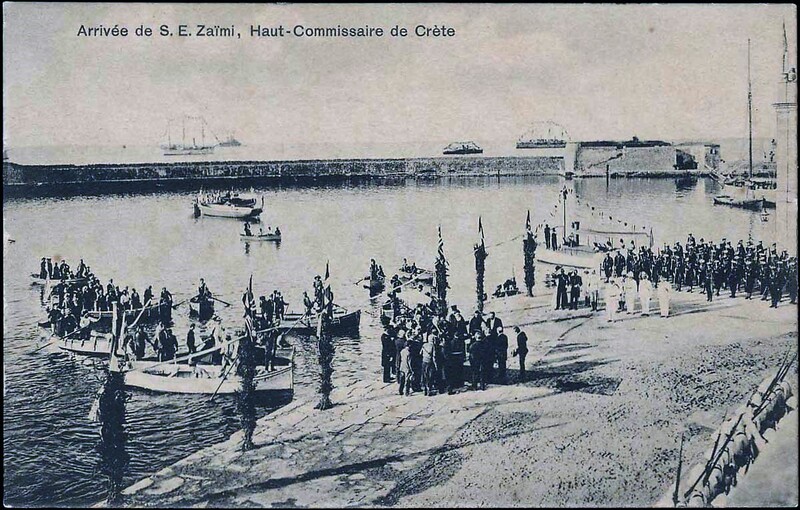 In Crete May 1905 to February 1907. As ever, a goat tries to get in on the act. This entry was posted in Royal Sussex and tagged 2nd Royal Sussex, British Army on May 10, 2014 by Mick McT. A fine body of men…and not a goat in sight. 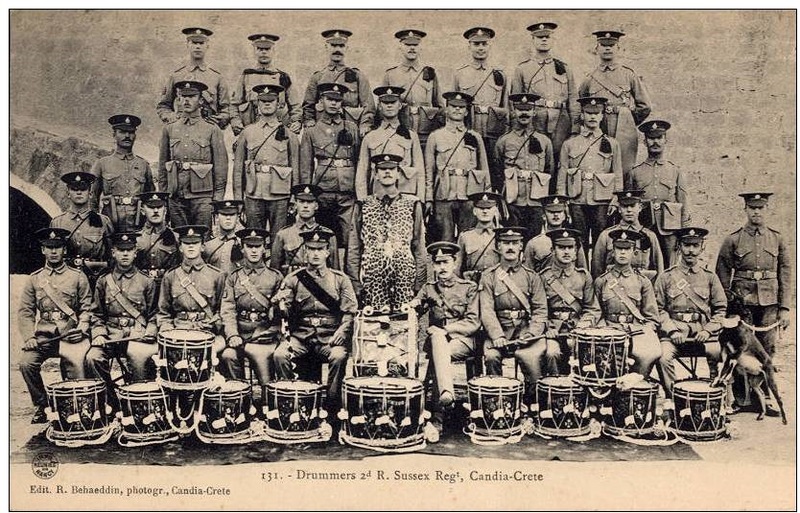 Sergeants and N.C.Os 2nd Royal Sussex Regt. 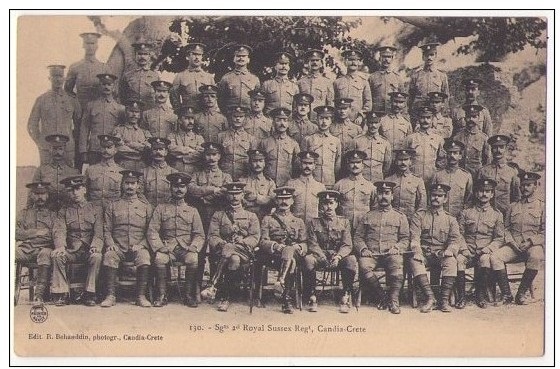 2nd Battalion, The Royal Sussex Regiment, were in Crete from May 1905 to February 1907. 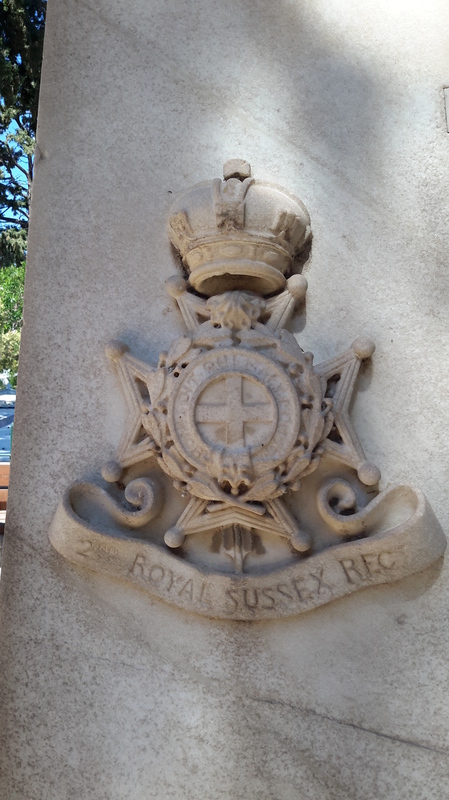 This entry was posted in British Army in Crete, European Intervention Crete and tagged 2nd Royal Sussex, British Army, European Intervention Crete, The Royal Sussex Regiment on April 25, 2014 by Mick McT.